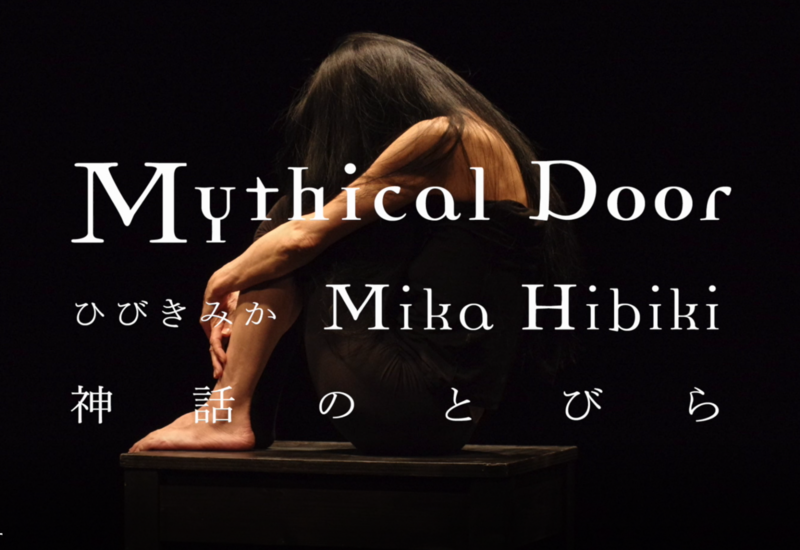 ”Mythical Door”, was premiered at the 2016 International Performing Arts Festival Biennale in Tokyo, and it will be performed for the first time in Norway by performer and creator Mika Hibiki. The play consists of scenes inspired by ‘Pasiphae’s tragedy’ and the ‘involvement of Ariadne with Minotaur’ from the Greek myth ‘Crete Labyrinth’, performed solo by montage body method. Hibiki feels that the movement that springs from the depths of the body and overflows is «dance». «The body has the ability to feel it itself. I do not need reasons. Mika Hibiki is an artist from Japan. She started as a professional athletic dancer. She has been All Japan Latin champion for 2 consecutive years, All Japan Sho Dance champion for 3 consecutive years and Japan representative for 5 consecutive years of the world championship. Among others she won the Dance world first prize at the Japan Professional Sports Grand Prix Achievement Award (Grand Prize · Daisuke Matsuzaka, meritorious prize · Takeutaka etc.). She studied ethnic dance at the Cuban National Folk Dance Company, that led her to established her own dance style. After Mika met Butoh Kazuo Ohno, she became interested in Butoh’s work and turned into performing art activities. She is leading workshops training to enhance physical abilities based on bone method and has performed numerous solo performances. Mika saw Grusomehetens Teater’s performance »I is Another – Rimbaud in Africa» in Japan last October and she expressed her interest in Lars Øyno’s work. Mika will perform for Grusomhetens Teater for the first time in February in the upcoming production «Lament II». Premiere 4th of February 2018 at 20:00 o’clock. One performance only!! Don’t miss the unique opportunity to see her solo performance «Mythical Door» at Grusomhetens Teater. billetter@grusomhetensteater.no/ 22203095 & at the entrance. The play, performed most often by Mika Hibiki, consists of scenes 'Pasiphae's tragedy' and ‘involvement of Ariadne with Minotaur’ from Greek myth 'Crete Labyrinth’, performed solo by montage body method.